Moms are the true jacks of all trade. On top of the many roles they fulfill, they also need to be the go-to first-aider of the family. This job includes knowing the truths from the myths about common illnesses that are often taken for granted. Now that it is once again high time for flu, the recent Expo Mom 2018 held in Glorietta, Makati invited moms from all over Metro Manila to be further empowered with crucial information about keeping their families safe and healthy. 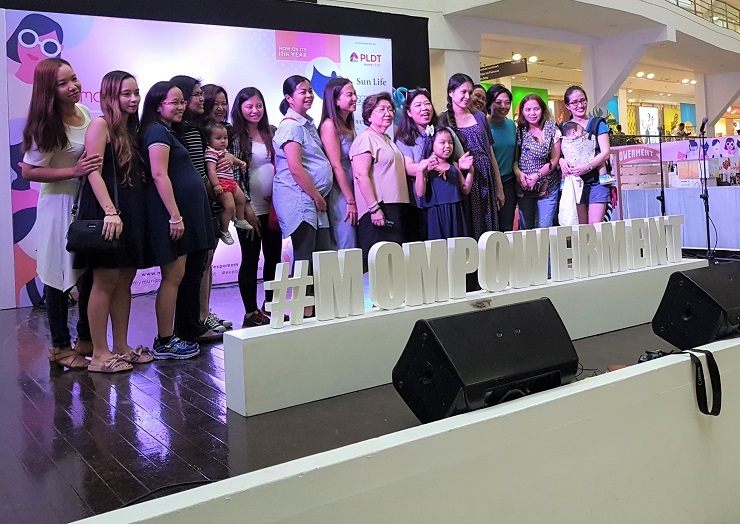 The #Mompowerment campaign creates a community of moms who share personal and relatable stories on how to deal with the ups and downs of motherhood including dreaded contagious illnesses for both children and adults. 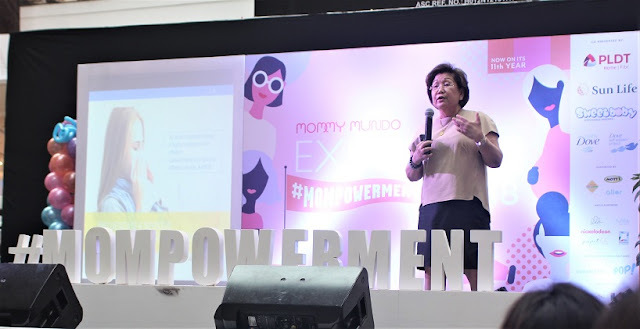 [Doc May with moms] The recent Expo Mom 2018 held in Glorietta, Makati invited moms from all over Metro Manila to be further empowered with crucial information about keeping their families safe and healthy. 1. Flu is not the same as common cold. Flu and common cold most of the time are considered synonymous due to similar symptoms of the two diseases. However, moms should keep in mind that flu is more severe than common cold. Bed rest and drinking plenty of water do not always work on flu, as it is caused by a viral infection. Moms should be vigilant because if flu is not treated properly it can result to severe implications. 2. Spreading flu is inevitable. Part of growing up is to play with other children. Unfortunately, flu is one of the most contagious diseases that can easily spread through contact. It is important for moms to teach the proper coughing etiquette to their children to avoid spreading the virus. Usage of disposable tissue to cover their mouth and nose when coughing or sneezing is highly recommended. If it is not available, it is better to cough or sneeze into the upper arm or sleeve to avoid using one’s hands. Being exposed to many bacteria, it’s important for children to learn to clean their hands after playing. The start of the school year is also the start of the rainy season and the cold weather often brings the flu virus. Moms are advised to take extra precautionary measures during this time and be more observant with their children’s health. While the cases of flu are more rampant during this time, the outbreaks of flu for tropical countries like the Philippines are irregular and are occurring throughout the year. 4. Adults are just as susceptible to flu as children are. As much as adults would want to protect their little ones, parents need to know that they too are potential carriers of the disease. Parents can also get flu from their surroundings, especially in their workplace and pass it on to their children at home. The risks of getting flu are even greater for pregnant women that they can have spontaneous abortions or get pneumonia from the disease. 5. Prevention is always better than the cure. Moms would always want to rock motherhood in the most practical way possible, but as the cliché goes, “health is better than wealth.” In considering the costs in treating flu, people often discount the indirect costs they shoulder when they have flu. One of which is the loss of productivity. Whether it’s the children missing school, adults missing work, or the whole family missing out on a vacation, curing flu can be more expensive than preventing it. Moms know better than to take a common disease for granted. They do not need to worry about such illnesses because they know the precautionary measures they can take to protect their loved ones from vaccine-preventable disease. From imparting good health habits to getting the whole family vaccinated, moms can embody #Mompowerment in knowing the truths about flu and choosing to act against it.